Currently, Scania buses operate in the Thiruvananthapuram-Bengaluru and Mookambika sectors. Thiruvananthapuram: With KSRTC making heavy losses on operating five multi-axle buses, the corporation may rethink on its wet leasing deal with Swedish automobile giant Scania. As per the original plan, KSRTC was to add 20 buses to its fleet on wet lease for a period of three years. However, with the first batch of five buses incurring an average monthly loss of Rs 13 lakh, the corporation may not go for the remaining 15 buses. KSRTC is earning only Rs. 46 per km per bus, as against the target of Rs 52 per km. Currently, Scania buses operate in the Thiruvananthapuram-Bengaluru and Mookambika sectors. They were launched in November, 2017. KSRTC went for the wet lease as part of the plan to reduce the employee-bus ratio from 8.5 per bus to a national average of 5.5 per bus as recommended by the Sushil Khanna Committee, sources said. As per the agreement, along with brand new bus, Scania was to provide the driver as well as maintain the vehicles. The KSRTC was to deploy conductors and provide high-speed diesel. 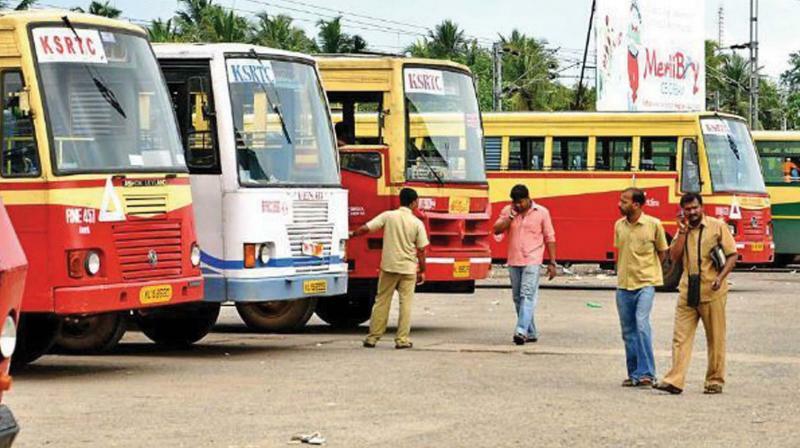 At present KSRTC pays a rent of Rs30.24 per km for 600 to 649 km that the buses operated, Rs 27.72 per km for 650 to 699 km, Rs 26.60 per km for 700 to 749 km, Rs 24.95 per km for 750 to 799 km, and Rs 23.82 per km for 800 km and above. Wet lease, most commonly employed in the airline industry, is a form of a leasing agreement that provides multiple services to the company leasing the property. In the road transport sector under this agreement the owner will provide a crew, maintenance, and other services needed for the bus.